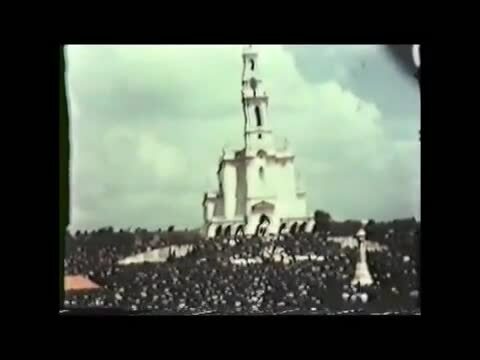 The following is an excerpt from a rare late 1940's film on the story of Our Lady of Fatima and her message for world peace. It includes some re-enactments of events in the life of Sr. Lucy. And also features original footage of the seer's families, the village, the Sanctuary of Fatima, etc. This is such an important video on the Fatima message. When Our Lady warned many nations will be destroyed, is that related to a 3rd World War or the 3 Days of Darkness? Can there still be a true lasting world peace now without a Chastisement? “Our Lady of Fatima, pray for us .” —300 days' indulgence each time (Pope Pius XI). Indeed! May the Triumph of the Immaculate Heart, the restoration of the Papacy and the liberation, restoration and exaltation of Christ's Church hasten! JMJ. Beautiful video TCW, I really needed to see this, thank you for posting. My heart is moved to tears; look at all those faithful. Sweet Heart of Mary, may Thy triumph hasten!